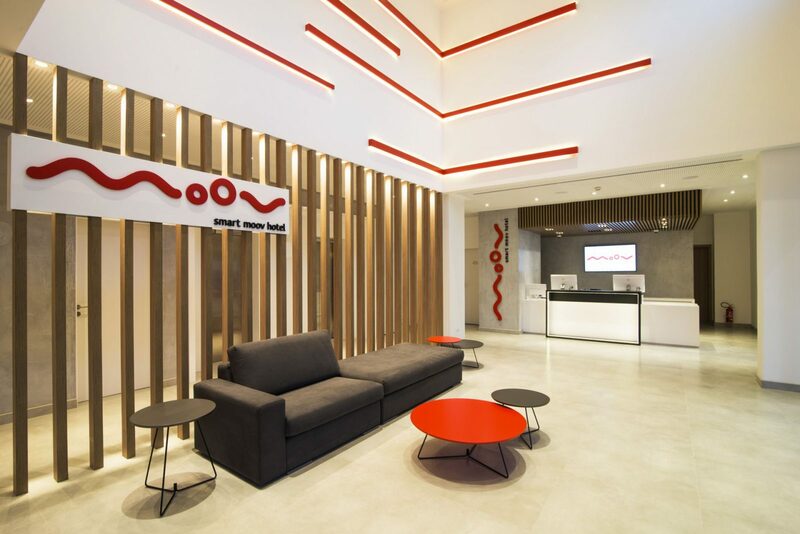 Situated in Batel, Curitiba’s most noble neighborhood, Moov Hotel has a privileged location. 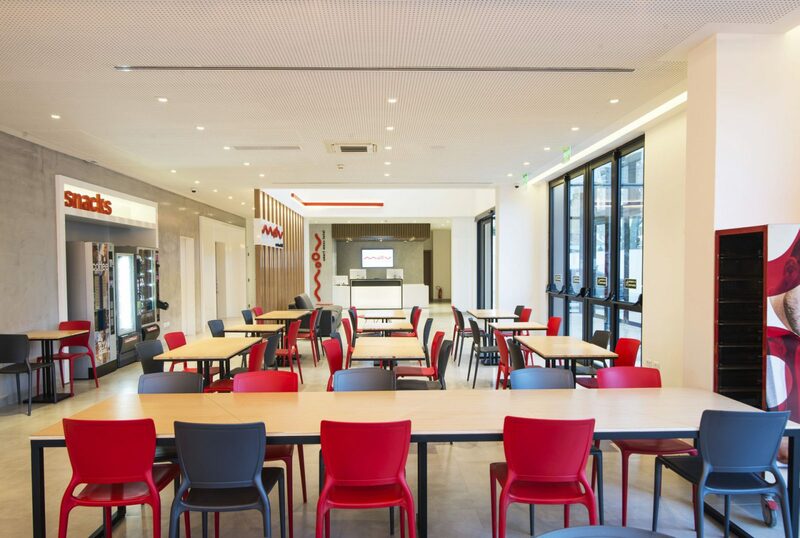 Perfect place for business travelers or to enjoy the charming capital of Paraná. Located in a privileged area of Curitiba. 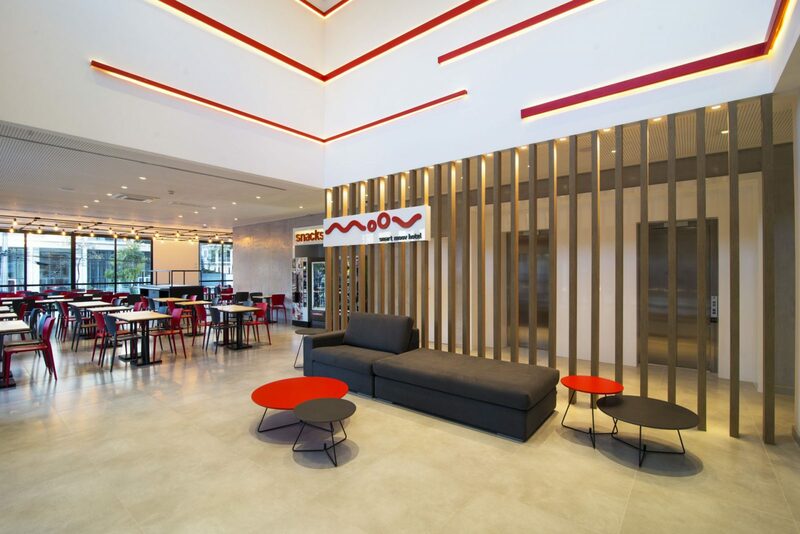 O Hotel Moov Curitiba features 123 apartments structured to provide a cozy stay with everything you need. 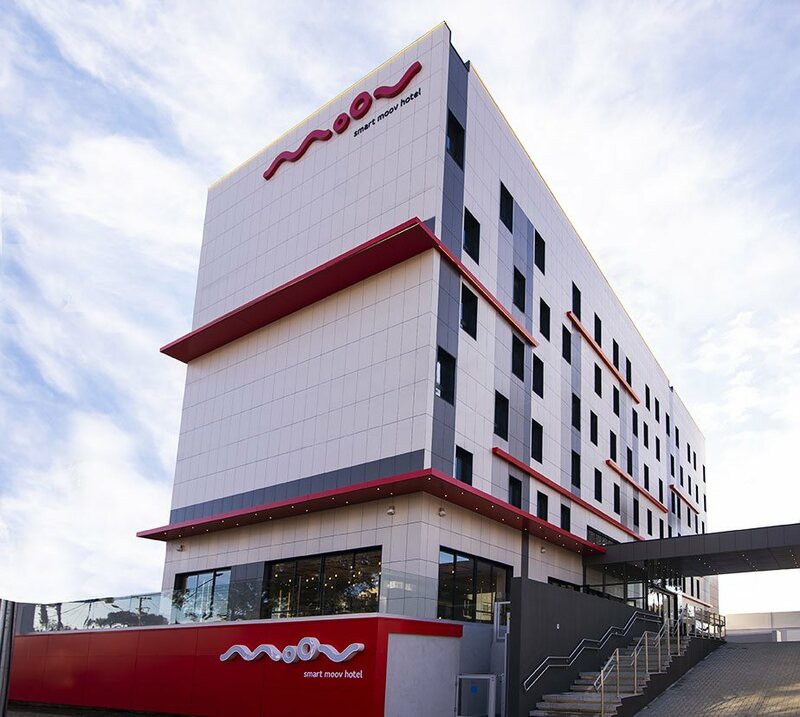 Close to the city’s main thoroughfares, the hotel is surrounded by entertainment options such as shopping malls, sights, restaurants, bars, cafes and nightclubs. 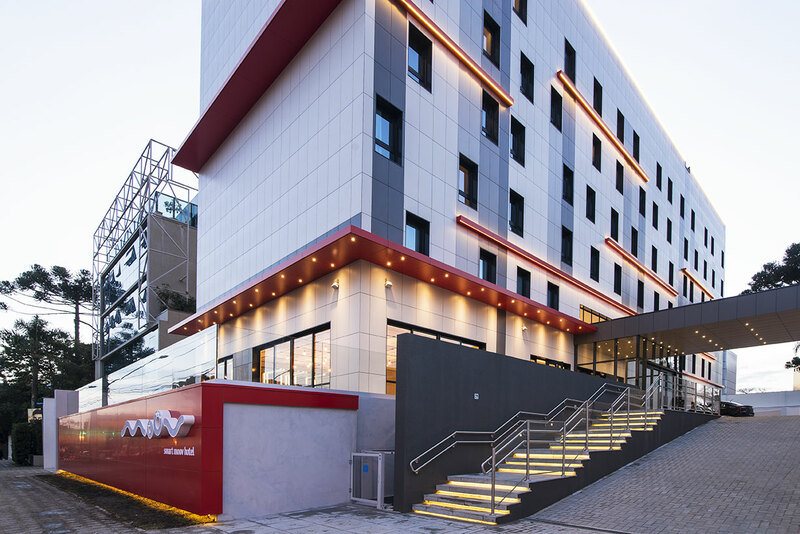 With a sophisticated, modern and relaxed air, Hotel Moov Curitiba is the perfect place for business travelers or to enjoy the charming capital of Paraná. Meet the services available at our hotel. 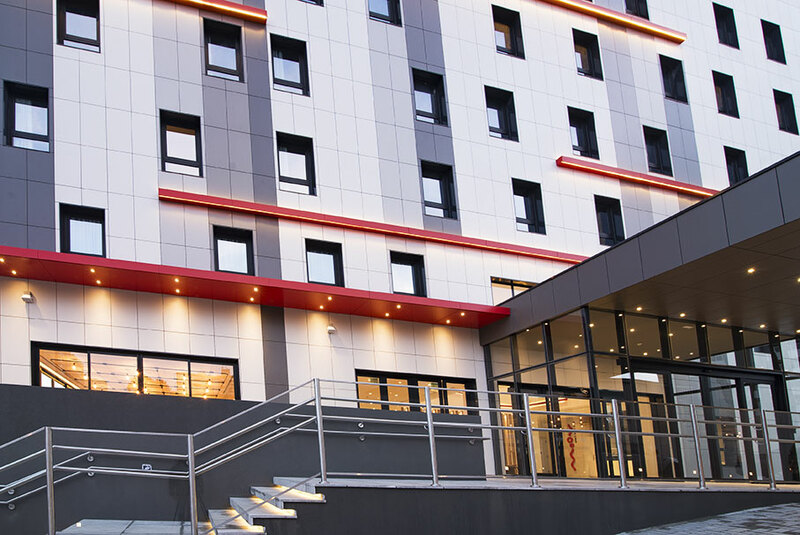 Designed to provide a perfect lodging whether for leisure or for business. Price: R$23 or R$28 (depending on the time of the year) per adult, per day / R$10 per child (7-12 years) per day. Price: for only R$12 or R$15 per day (depending on the time of the year), you can use our parking. Rational use and reduction of natural resource extraction; Reduction of water and energy consumption; Mitigation of the effects of climate change; Use of materials and technologies with low environmental impact, among others. Room with double bed for people with special needs. Room with double bed, air conditioning and soundproofing.